Not sure if you noticed this before, for me it was a glad surprise how well the sleep timer works on Tecsun PL-880. To use the sleep timer, you press the power button for a about 2s-3s until you see the timer, using the tuning knob you can choose several options between 1 and 120 minutes. Neat finding #1: the timer settings is kept between power cycles. So, you only have to set it once (in some radios, you need to set the timer for each use). Neat finding #2: when using the timer, you would expect – as every other radio – the radio to shut off immediately along with ‘pop’ on the headphones. This is not the case with PL-880. When the timer kicks in, the radio gently fades out the audio for 20s-30s and then shuts off. No pops to hear. Amazing. That is brilliant! I never use the sleep timer on the PL-880, but perhaps I will now. As you state, most sleep timers simply turn off the radio without warning and include an audio pop–not great if you’re wearing headphones and trying to sleep. Very happy to hear the PL-880 slowly fades. Happy dreams! 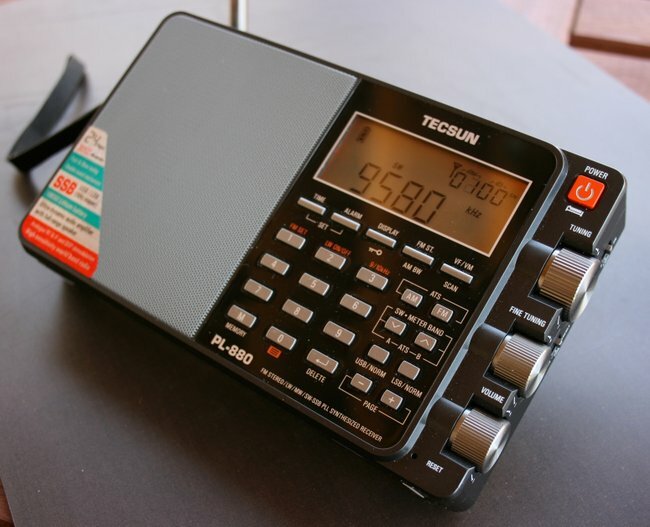 This entry was posted in How To, News, Radios, Shortwave Radio and tagged Garcia (PU3HAG), PL-880, Tecsun PL-880, Tecsun PL-880 Hidden Feature, Tecsun PL-880 Sleep Timer on February 25, 2017 by Thomas. 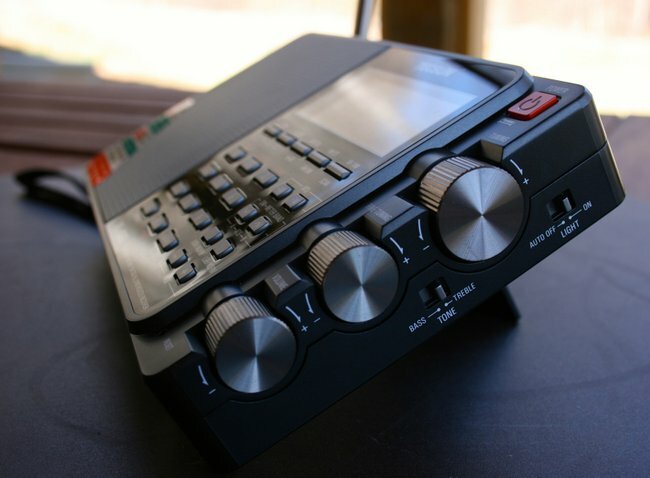 This entry was posted in How To, News, Portable Radio, Radios, Shortwave Radio, Uncategorized and tagged PL-880, Tecsun PL-880, Tecsun PL-880 Hidden Feature, Troy Riedel on February 9, 2017 by Thomas. I often go outdoors to escape the RFI generated in and around the house, which can be even worse during the holidays with all the LED Christmas displays. Trouble is, the snow is getting a bit deep for the trek to the back of the cleared part of my yard. 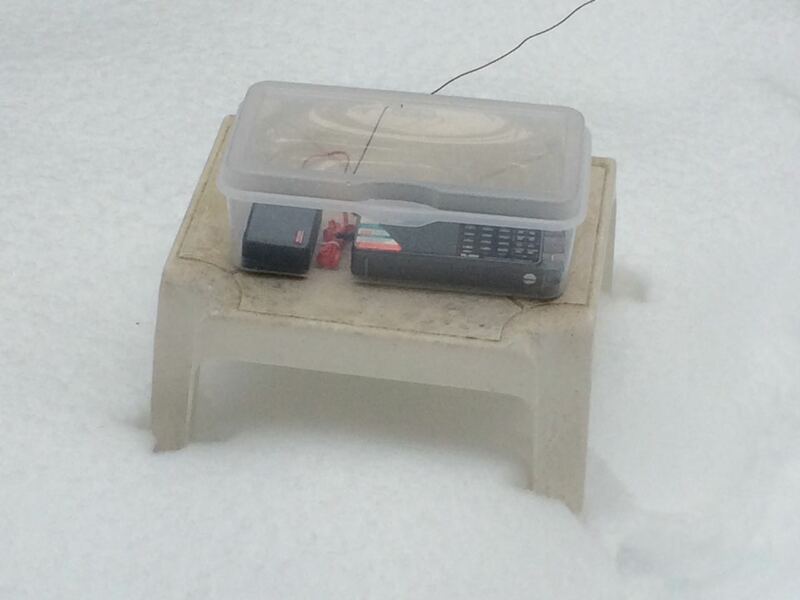 The attached photos show my setup on New Year’s Day to record Stephen Cooper’s DigiDX program over WRMI. One thing about DXing and SWLing outside in the winter is that the knobs on the Tecsun PL-880 can become stiff to turn if it’s too cold and the battery doesn’t last as long as when it’s warm outside. Best approach is to go out with a fully charged battery, tune to a particular frequency and record the audio for later playback. […]I’ve also noted on a couple of occasions that the Tecsun will shut itself off after a few hours in really cold weather (around -20°C). And it’s not that the battery power is exhausted. I can turn it back on manually and it shows plenty of battery capacity remaining. Thanks for sharing your notes, Richard! It certainly looks like a winter wonderland at your home. I like how you’ve made such a lightweight, portable station that protects the PL-880 from moisture. Paul Walker also uses the PL-880 extensively in Galena, Alaska–in some very cold temps as well. Perhaps we can compare notes. 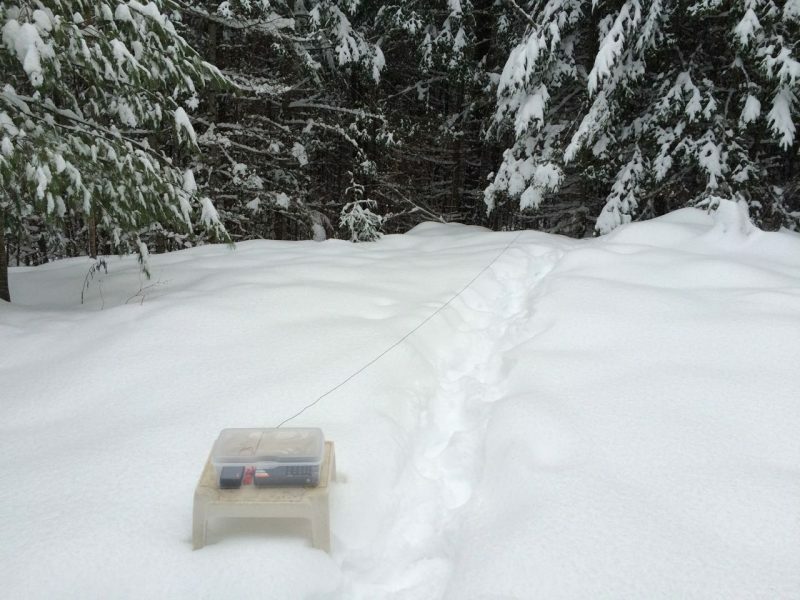 Post readers: What radios do you use outdoors in winter conditions? Please feel free to share your experiences! 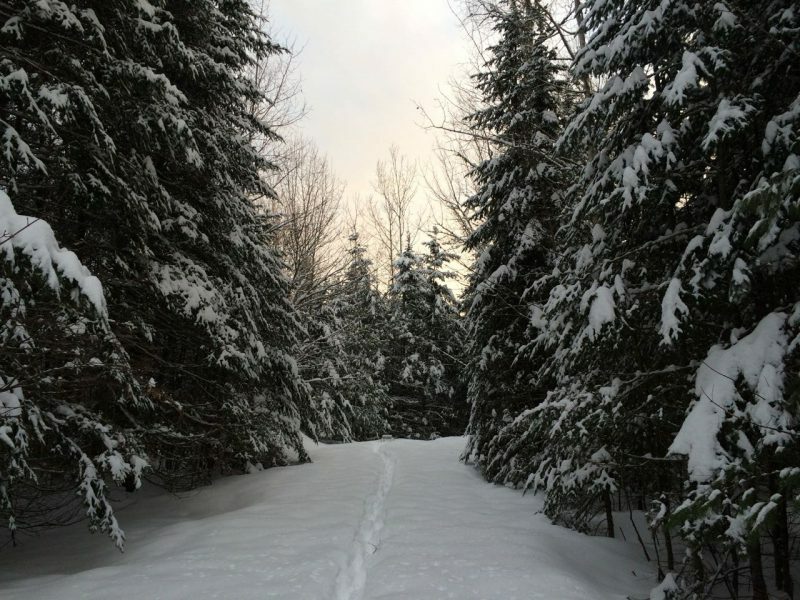 By the way: I should offer my sincere apologies for sharing beautiful winter wonderland scenes while many of our dear readers in Australia are coping with a sweltering heatwave! 🙂 Perhaps we should also be sharing notes about high temp outdoor DXing!? This entry was posted in News, Radios, Shortwave Radio, SWLers and tagged Cold Temp DXing, DigiDX, PL-880, Richard Langley, Tecsun, Tecsun PL-880, Winter DX on January 14, 2017 by Thomas. Possible Tecsun PL-880 hidden feature: Noise reduction adjustment? While putzing around with my new Tecsun PL-880 that I got while browsing at Universal Radio’s store in Columbus OH, I found what appears to be an adjustable noise reduction function. When in a shortwave band, press “4” until either “ON” or “OFF” appears in the display. If it displays “OFF”, press 4 briefly to clear, then long press again until “ON” appears. Then, long press “9” until a two digit number appears. Use either tuning knob to increase or decrease the number. The number appears to correspond with the DbM threshold of the received signal. Perhaps someone can play with the feature and elaborate on its function. Hope this is useful, let me know. Thank you for sharing, Paul! I do wonder if this adjustment could affect the DNR setting (check out this previous post as well). Post readers: Has anyone else been able to replicate and test this hidden feature? Please comment! 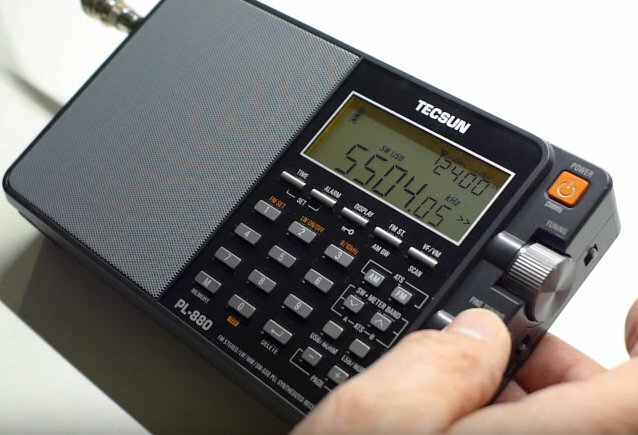 This entry was posted in News, Portable Radio, Radios, Shortwave Radio and tagged PL-880, Tecsun PL-880, Tecsun PL-880 Hidden Feature, Tecsun PL-880 Hidden Feature DNR on November 12, 2016 by Thomas. Maybe you already know this, but I only recently discovered the Tecsun PL-880 rechargeable battery is available on Amazon for $9.99 and can qualify for Prime free shipping. I bought one and it seems to work great. There are other battery models on Amazon that may work, but many had comments about inconsistent quality, various countries of origin and even various sizes! I decided to go with this one branded as Tecsun to play it safe and am happy. Just an FYI to your readers. Thanks, Bill! I have two PL-880 batteries and they continue to do a fine job running the PL-880. They are over two years old now (hard to believe–! ), so I’ll keep Amazon in mind. Note that Universal Radio also has the replacement battery for $9.95 (though no free shipping). This entry was posted in Accessories, News, Portable Radio, Shortwave Radio and tagged PL-880, Tecsun, Tecsun PL-880, Tecsun Pl-880 Battery on May 26, 2016 by Thomas.